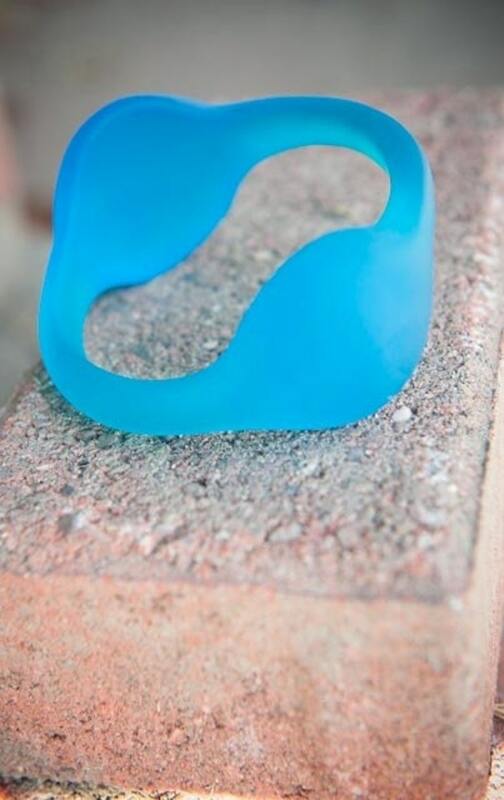 The matte finish of this Orbital bangle gives it the smooth texture and soft glow of beach glass. The blue is closer to the first two photos -- electric. PLEASE NOTE: This listing is for the blue bangle only.